Your choices as a parent begin before your child is even born. From what to feed them to how to discipline, parenting seems to be one choice after another. The choices you make regarding your child’s health will affect them throughout their life. These are decisions best made with plenty of thought and information. Here are some general tips on making healthy parenting choices. Breast-feeding is a wonderful way for you and baby to bond while you give them the most all-natural nutrition possible. But breast-feeding isn’t for everyone. It requires a lot of time, dedication, devotion to healthy eating, and all-hour feedings. Work with your doctor to make a decision about what’s best for you and your child. Processed foods are often full of sugar, sodium, unhealthy fats, and calories. Here’s a tip for grocery shopping: Shop the perimeter of the store where the fresh foods are. Avoid the inside aisles where many of the processed foods reside. Nearly all children get plenty of vitamins — A, B, C, D, etc. — in the foods they eat every day. A multivitamin is not generally necessary for children. Simply pack meals with vitamin-rich foods. Talk to your pediatrician about a daily multivitamin if you are concerned. Your grandmother had the best intentions for you when she wouldn’t let you leave the table before you finished your broccoli, but the truth is that your child knows when he or she is full and needs to stop eating. When children say they don’t want any more, they probably aren’t trying to skip out on their vegetables; their bodies are just letting them they’ve had enough. Overeating could lead to unwanted weight gain. According to the Centers for Disease Control and Prevention (CDC), childhood obesity has more than doubled in children and quadrupled in adolescents in the past 30 years. In 2012, nearly 18 percent of children in the United States ages 6 to 11 were obese. Physical activity is very important for children. It sets the stage for a lifetime of health and nutrition. Public health experts recommend 60 minutes of daily physical activity for children. Team or individual sports are a great way to encourage physical activity. Outside a structured sports setting, motivate your children to spend more time playing than sitting. Plan family activity nights or set up play dates with neighbours. Summers are for kids, but summer sun isn’t. Ultraviolet (UV) light can damage the skin and increase chances for developing skin cancer later in life. 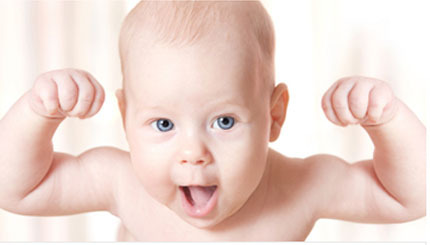 Babies younger than six months should avoid direct sunlight if at all possible. Babies over six months and all children should wear a sunscreen with a sun protection factor of at least 30. Reapply every two hours or more frequently if your child is sweating or in the water. Good dental and oral health goes beyond cavity-free teeth. According to the American Academy of Pediatric Dentistry, tooth decay is the most common chronic childhood disease. Tooth decay can lead to problems with speaking and learning if left untreated. Fluoride can almost completely eliminate tooth decay in young children. Your children should receive a fluoride treatment at each of their semiannual cleanings. If your tap water doesn’t have fluoride, ask your dentist about other ways to get fluoride.